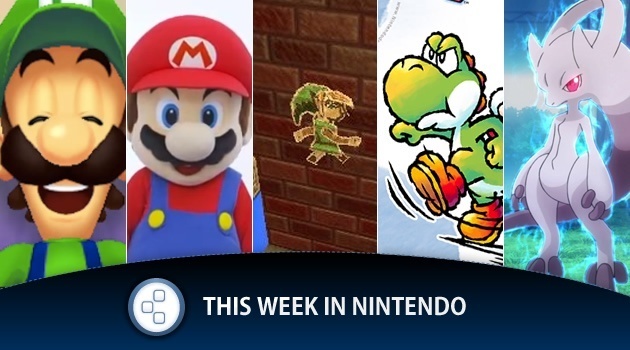 This week in Nintendo | Nintendo Bytes: Mario & Luigi, Mewtwo, Zelda 3DS, Animal Crossing and more! Welcome to This Week on C3, a recap of what's gone on in the world of Nintendo games and in the Cubed3 community over the last 7 days. We hope you've had a great week! For the full rundown of our news and updates, visit our Nintendo Wii U and 3DS Archives. Wii U Launches to "Dramatically Increase"
Ever bought a game just because of the box art? Biggest and Best Game Deals: Bow to Azuardo! Future issues of This Week on C3 will be delivered as sweet treats every Sunday. Get our weekly digest straight to your email inbox - Enable newsletters in your user account.